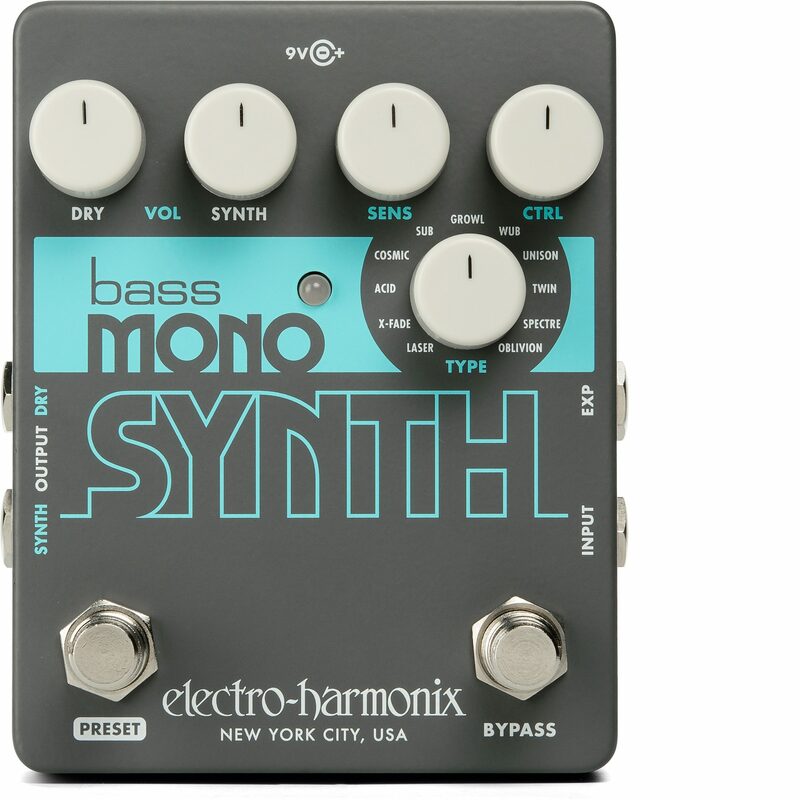 The Electro-Harmonix Bass Mono Synth transforms your bass into eleven great sounding synthesizers… from vintage synth emulations to thick, stacked voices to deep pulsing sounds and more. Overall: This little pedal is simple enough to operate, but deep in terms of all the sound you can get out of it. Well worth the price.